If you need a quick and incredibly soft hat, this bear hat crochet pattern is what you’re looking for. The baby bear hat is crocheted with a plush yarn that works up fast and comes in three sizes. The largest size only takes 9 rounds to complete. A practical baby hat that the baby will actually wear is important. Here are a few rules I follow to make sure the hat is a hit. Soft Yarn: The yarn is important. If you use a scratchy yarn the baby won’t be comfortable. No Holes: Unless you live someplace hot, a thick hat is a must. If you can see through the hat it won’t keep the baby warm. 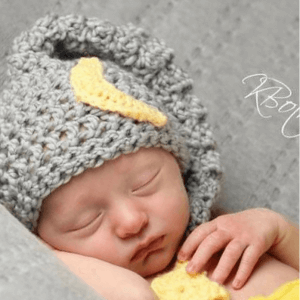 The bear hat crochet pattern will make a darling matching baby gift set with the Baby Cocoon Crochet Pattern. 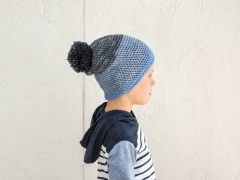 The pattern uses the same soft and squishy yarn. 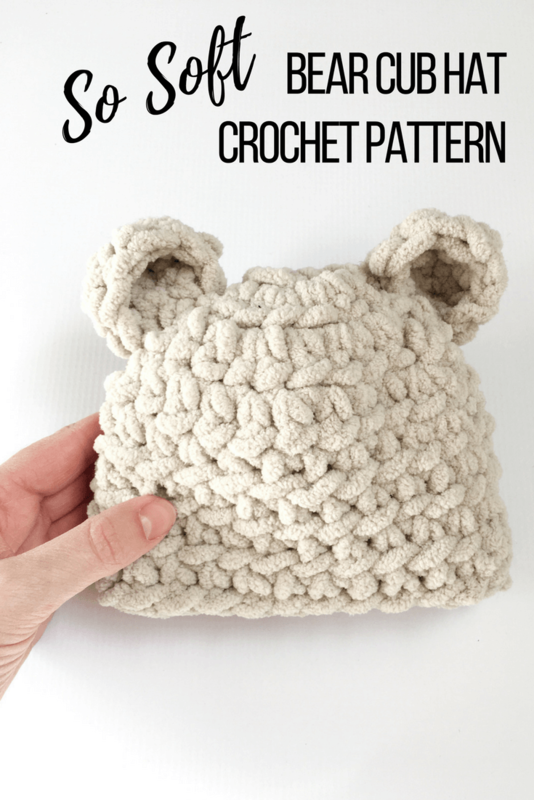 There are 3 sizes for the bear hat crochet pattern. Each size has an estimated head circumference in inches. Add this baby crochet pattern to your Ravelry favorite here. The hat is worked starting at the top using a magic circle. The chain at the beginning of each round does not count as a stitch. To join at the end of each round, slip stitch into the chain or use the no-cut join method for a seamless look. The ear is a half moon shape. Weave the tail of your yarn through the bottom of the ear. When you pull the yarn tight the ear will gather slightly. Sew onto the top of the hat. Break yarn and sew in ends. Now you have a cute hat your baby will actually wear. 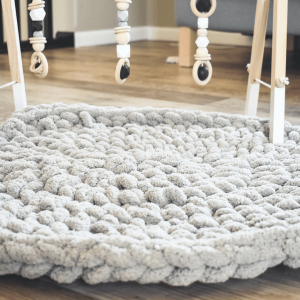 The soft squishy yarn will make you want one in your size. 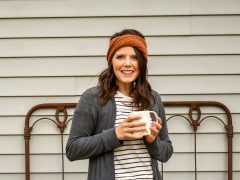 You can find more modern hat crochet patterns here. I can’t wait to try this pattern! I do have a question about the initial magic circle. How many do I chain initially to make the magic circle before I move on to the 8 hdc for round 1? The magic circle is a technique to start without having to chain. But if you’d prefer, you can start by chaining 4 and joining with a slip stitch back into the first chain. Would you consider making this in adult size! Also I made the 0-3 and 6-12 and the sizing was way off, any idea what I did wrong? I have also had that same problem! The 6-12 month has been too small for two different babies that I have made the hat for. Both were 7-8 months old. Which was a bummer because this hat I adorable! I will be going back and making them again a little wider and a little longer. How do I make the make the magic circle? This video will show you how to start with the magic circle. I hope it helps! I love joining like that too. It would be perfect for coasters! I’m sure your grandkids will love the hats. Hello! I am wondering if you had gone through both posts or just the back posts? Thank you! I crocheted under both loops. The half double crochet stitch creates that little line you see. I hope this helps! Hi Sierra! The hat looks adorable. I just recently heard I will be becoming an aunt soon so I am definitely making this for my little nephew/niece!! I was wondering whether you could share the final dimensions? Circumference and hight of the hat? 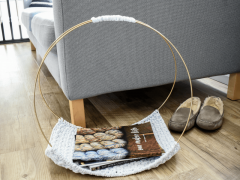 I plan on making the one for the 0-3 months baby but the yarn I have it a little less lighter as yours (for a 7mm crochet hook). Congratulations on soon to be aunt! How exciting! I wish I could share the final dimensions with you, but I have already gifted my hats. I will remember to add the final sizes to my upcoming patterns. The gauge for the bear hat is listed in the pattern above. Using those measurements the 0-3 month size is 12″ around and 5.5″ tall. 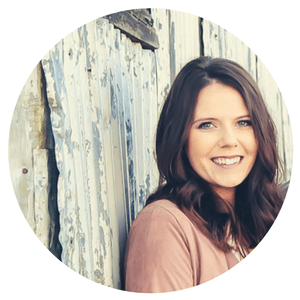 This podcast has helpful tips for resizing hats and substituting yarn. I hope this helps! If i want to make tbis in a toddler size should the final stitch count increase by 5? I haven’t made a toddler size yet, but it will be adorable! I would recommend trying the final stitch count to be 32 or 34. I would add an extra round too. I love this adorable pattern, started yesterday and stitched up eight hats for all the Kiddo’s in the family for Christmas. Thanks for sharing. You have been a busy bee! I’m so happy to hear the pattern has been well loved. I’m sure all those kiddos will love their soft, new hats!